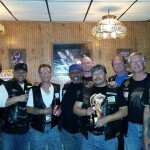 On Friday June 12th 357 Brotherhood had a special meeting at Chet’s Melody Lounge in Justice,IL. At this meeting we had some of our lady’s join us as we finalized plans for our Summer Sizzle Party @ Chet’s Melody Lounge on Saturday June 20th. 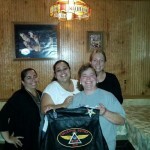 After the meeting some of the members & ladies decided to hangout with the members of Nocturnal Motorcycle Assoc. 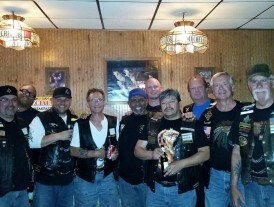 Chicago Hq at their clubhouse located in Cicero,IL. They have a great looking clubhouse and were very welcoming. We had a great time enjoying each others company & great fellowship. Special Thanks to Nocturnal for the hospitality! !